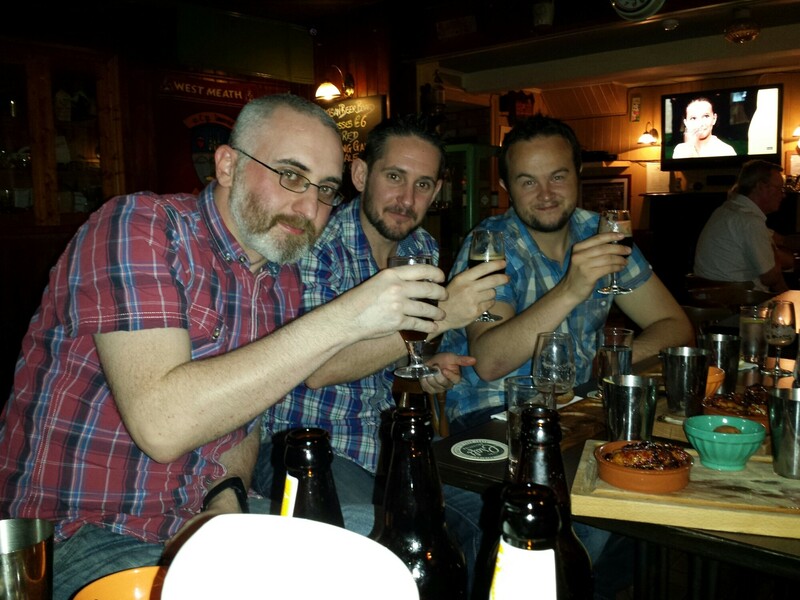 Athlone Beer Club lands in The Fatted Calf, Glasson | Simon Says… You really should drink this! ← Second Smoked Beer, this one’s from Schlenkerla! 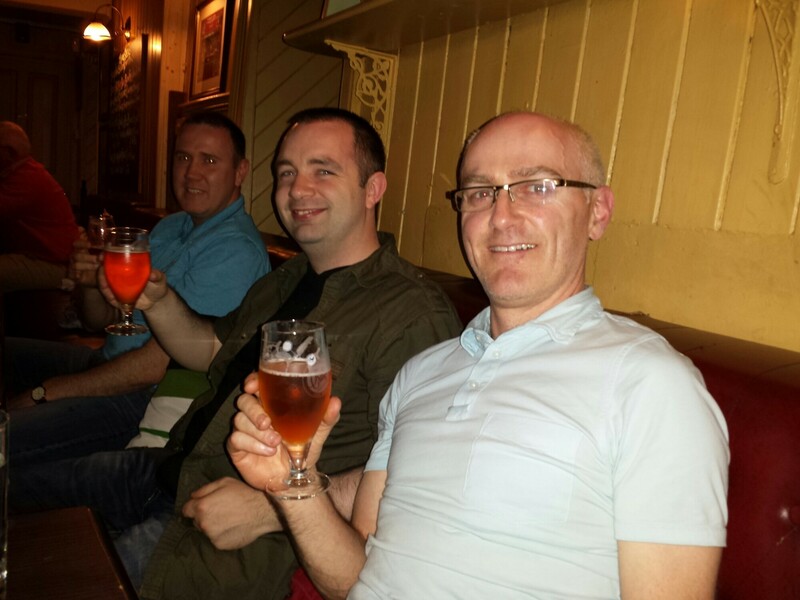 Athlone Beer Club bravely ventured beyond the speed limit signs of the town and made for the lovely village of Glasson. The Fatted Calf serve up some serious food but we were there for the beer. And if we had some food, that would be a great bonus! 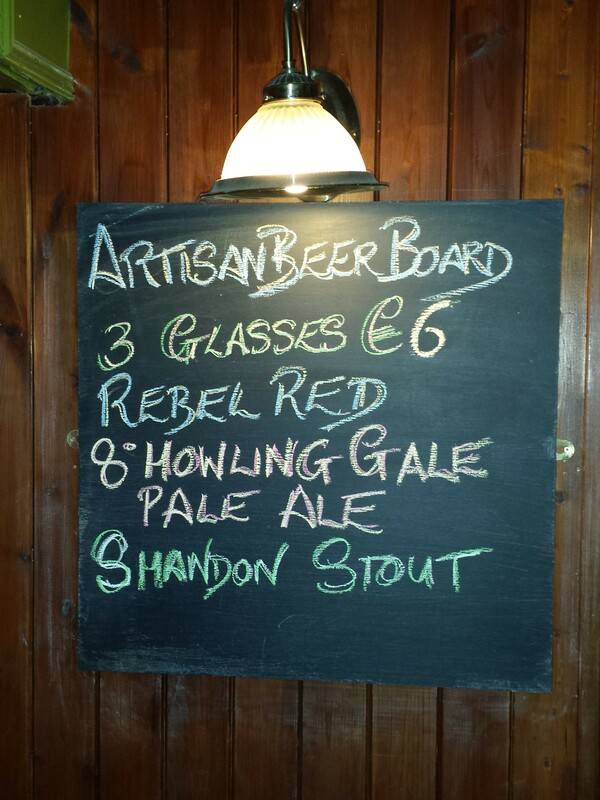 We said we’d all start with the ‘Artisan Beer Board’ which features three Cork brews. The Franciscan Well Rebel Red is a great beer to start off with. It doesn’t scare the horses with an abundance of hops but it is very quaffable. Next we had Eight Degrees Howling Gale Pale Ale. This went down very well across the board. 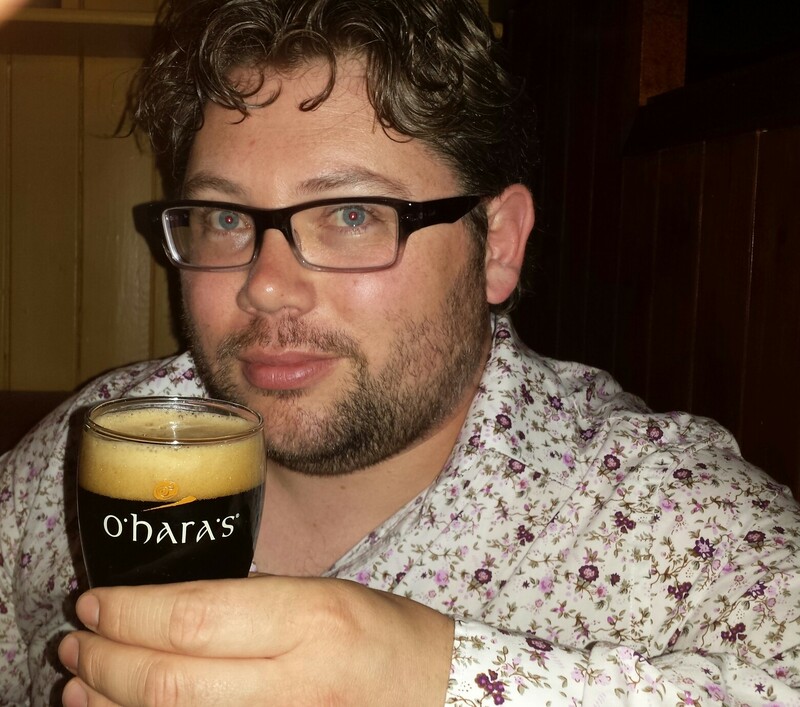 To complete the trilogy we had Franciscan Well’s Shandon Stout. It’s a well rounded stout but some of the group found it a little sweet. It was about time for a bit of grub and Fergal had a few treats in store for us! 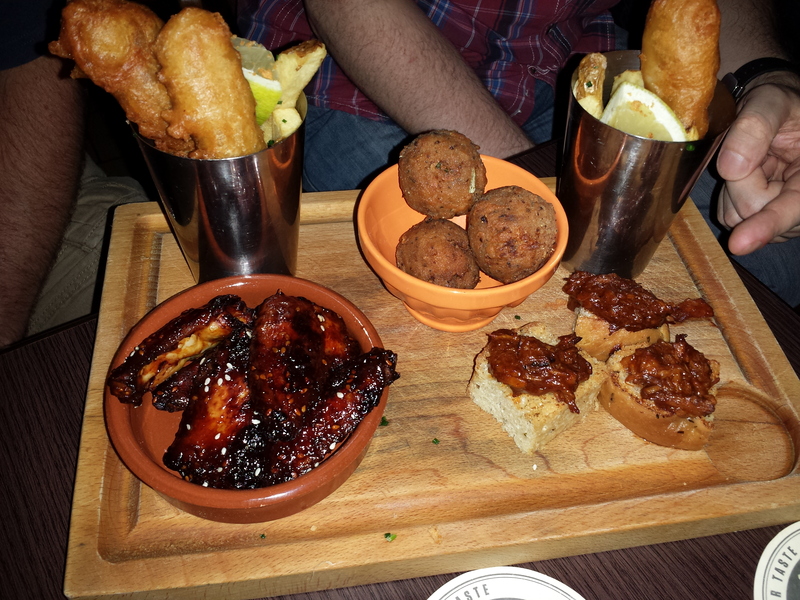 Pulled pork on some ciabatta, Chinese style chicken wings, fish and chips and some delicious white pudding balls. I’m sure there were proper names for some of those but we weren’t listening, we were too busy getting stuck in! So we had tried the draft selection, now it was time to try out the range of bottled beers. 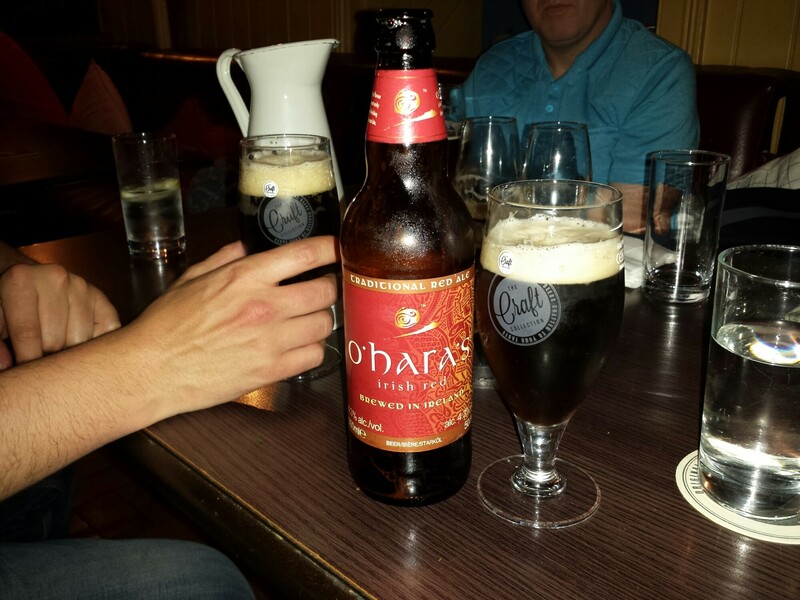 Our first bottle was O’Hara’s Red Ale. An old reliable. 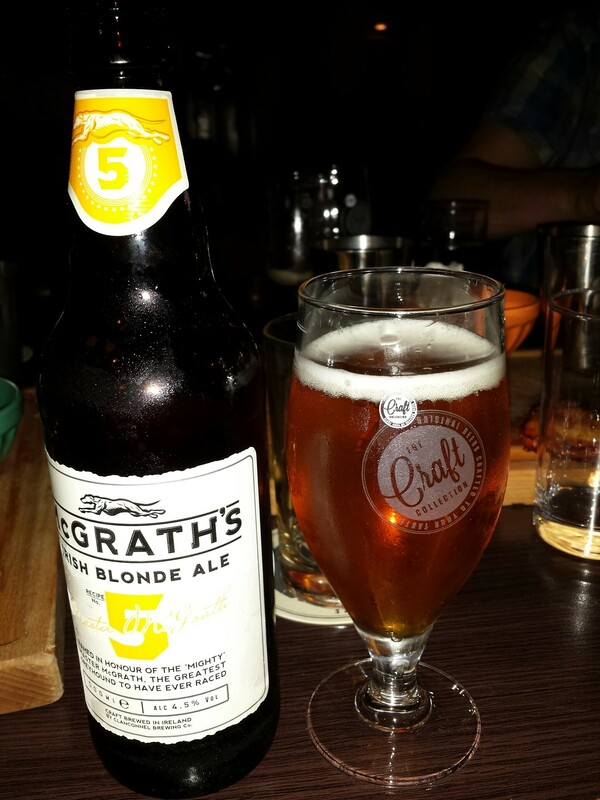 We then had McGrath’s Blonde Ale. It’s a great Summer thirst quencher. 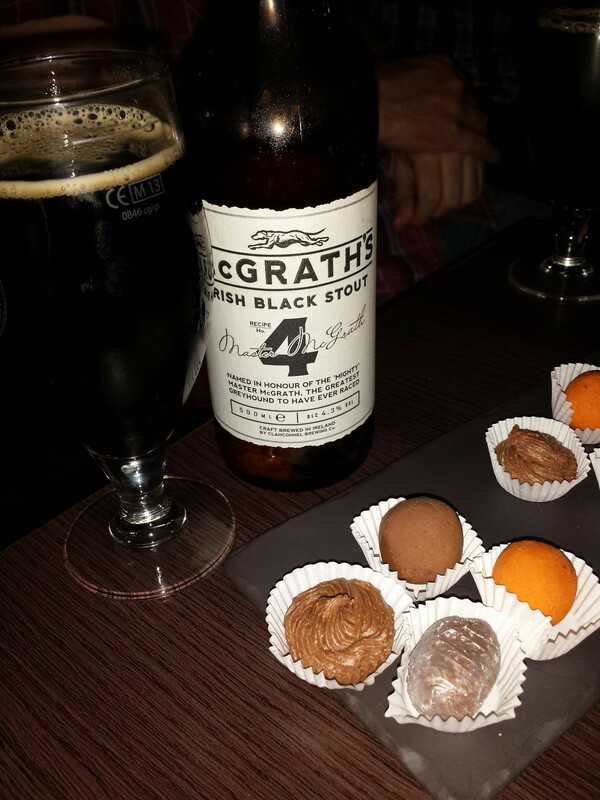 Then we had a few truffles with McGrath’s Black Stout. Chocolate with beer was a new experiment for some and there were mixed reactions, I did note that they were all eaten! 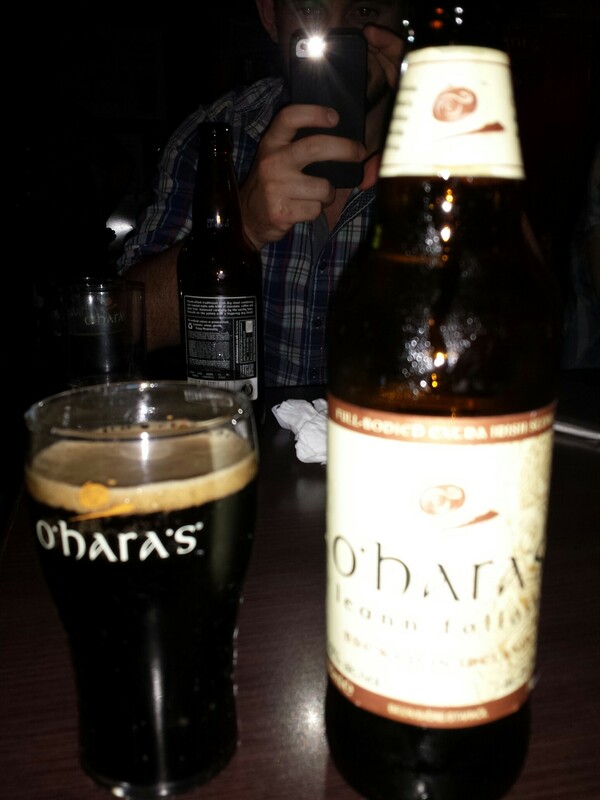 Keeping it dark we decided that O’Hara’s Leann Follain Stout was a good one to conclude the evening. 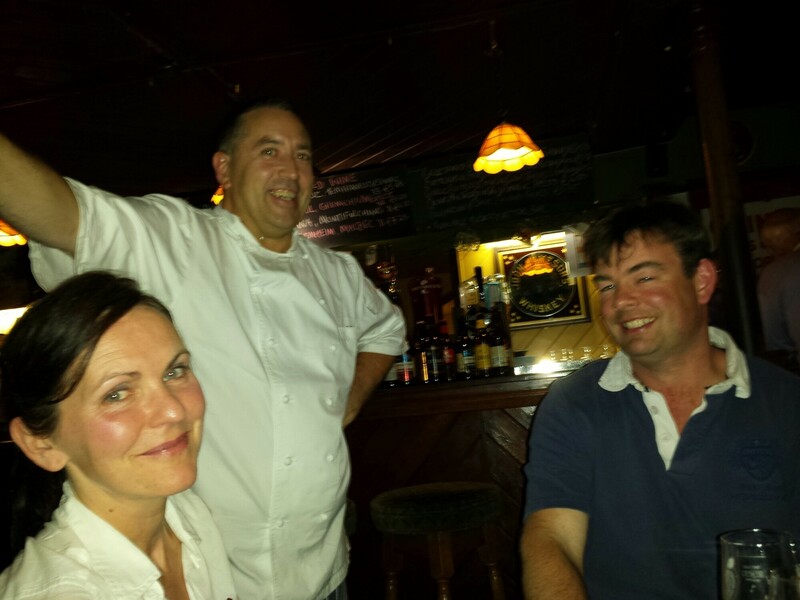 Thanks to Fergal and the staff of The Fatted Calf for looking after us very well indeed! Sláinte. 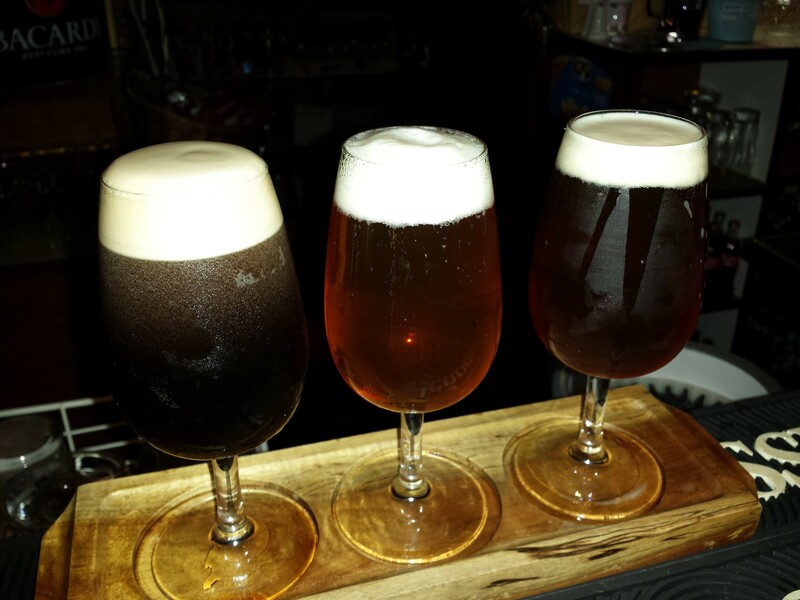 This entry was posted in Uncategorized and tagged Beer, Beer Club, Gastropub, Irish craft beer, Irish pubs. Bookmark the permalink.